Originally I started this project with a demo Cintiq Companion 1 that Wacom had loaned to me. Since I only had the Cintiq for a short while, I did not get to finish the project. 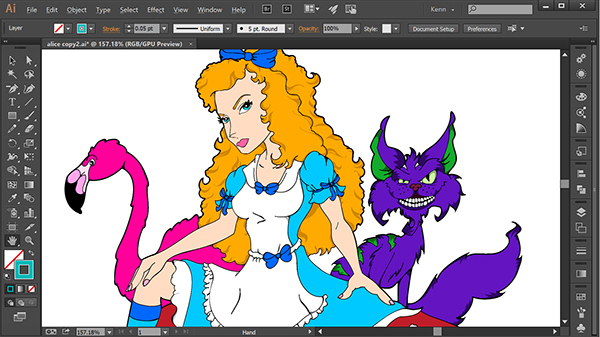 After receiving the Cintiq Companion 2, I decided to revisit our friend Alice and add the final touches. Since the image was 85% complete I decided to work with what I had already created. 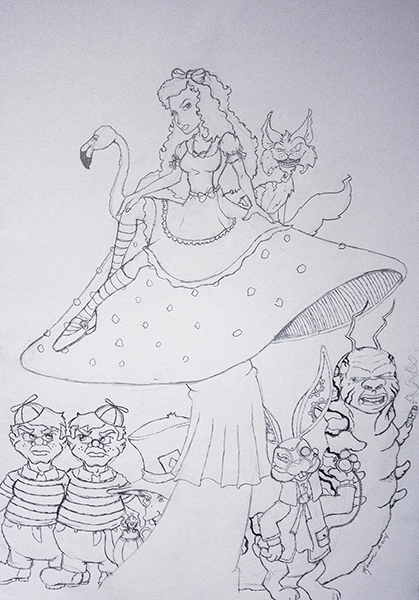 However, if I were to start over I know I would go about rendering Alice and the Wonderland creatures in a different way. But what it shows, is after having a Cintiq Companion 2 for only a short time I have already changed the way that I work. I am happy with the outcome, but I would simply render the characters differently. 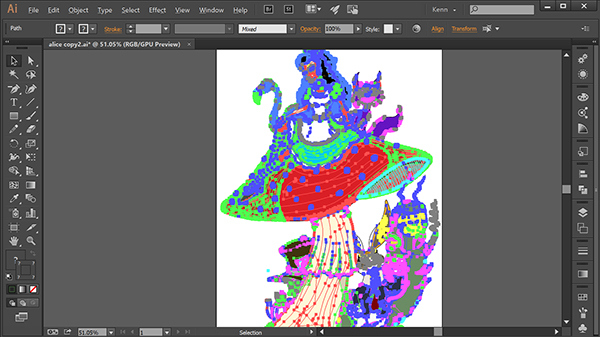 I really enjoy working in Adobe Illustrator. It allows me to create graphics that can be easily re-sized. And the great thing is the more you work in Illustrator the more you learn... even though I was working on character designs.... some of the techniques I used can easily be used to create buttons, banners, icons or logos. 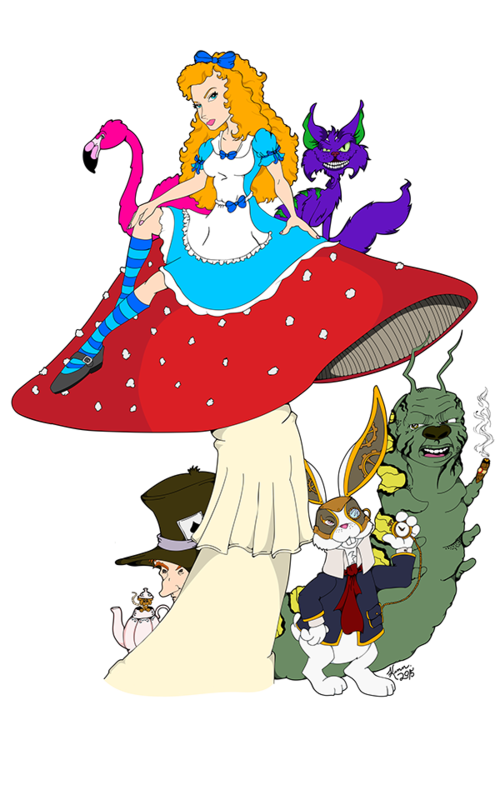 In this version of Alice in Wonderland... I wanted the characters to be somewhat new. I pictured the Caterpillar as being a cigar smoking creature from Brooklyn. White Rabbit had has a somewhat steampunk look. While the Mad Hatter is this fidgety mysterious man lurking around the corner. Of course Dormouse joins in relaxing in his favorite tea pot. 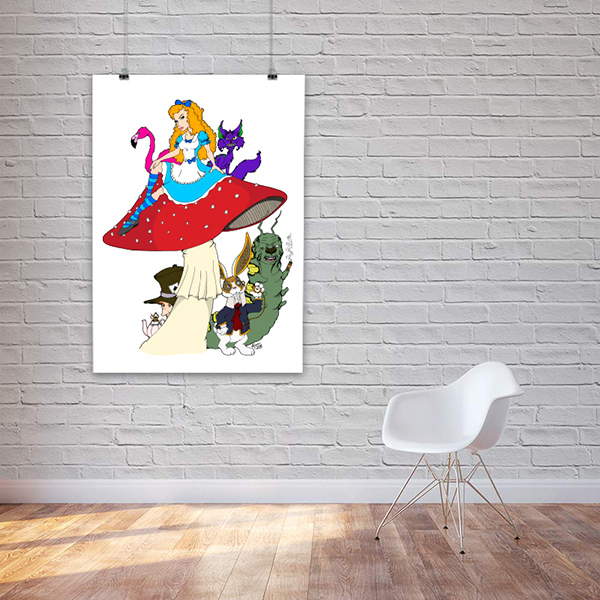 This can be found in my Redbubble shop. 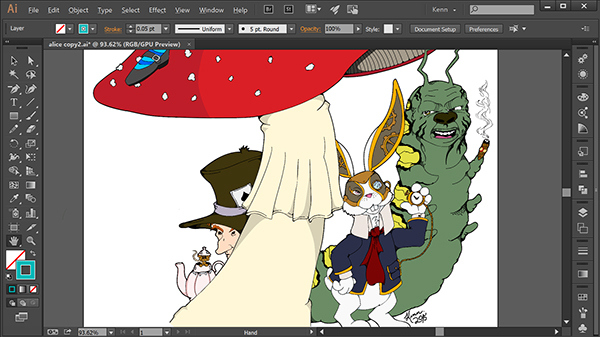 Art Director Kenneth Shinabery brings Alice and the creatures from Wonderland to life using a Cintiq Companion 1 & 2. Utilizing Adobe Illustrator and Photoshop these magical characters jump from a pencil drawing into the digital world.